Home > Questionnaires > Questionnaire: Postpone Education for a Gap Year? Whether or not to take a gap year is a very personal decision. You may be considering it for a number of reasons, but if you are planning on to return home to higher education at the end of your year then you need to have a broader plan in place. We have put together the following questionnaire to help you reflect on your plans for both your gap year and your education. Answer each question honestly, and count “I don’t know” answers as “no”. Then match the total number of your “yes” answers to the explanations at the end for more advice on if you should postpone education for a gap year. 1. Do you have a specific gap year programme to join? 2. Does your intended institute of higher education allow deferrals? 3. Will your gap year allow you to do hands-on activities in your intended field? 4. Do you have a specific reason for wanting to go on a gap year? 5. Will you make money on your gap year? 6. Will you obtain certification or educational credits on your gap year? 7. Will you be able to finance your gap year without debt? 8. Does your intended institute of higher education look favourably on gap years? 9. 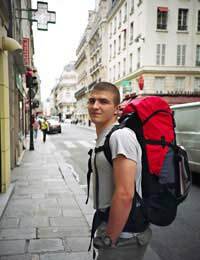 Are you prepared to defend your gap year if questioned on its value? 10. Do you believe taking a gap year will help you mature? 11. Do you believe a gap year will teach you life lessons you won’t learn elsewhere? 12. Do you believe you have talents which can be honed during a gap year? Should You Postpone Education For a Gap Year? If you answered “yes” to between zero and four questions then you should not postpone education for a gap year. Your answers indicate that you have either not thought very much about why you’d like to go on a gap year or have no idea how your planned gap year will help you obtain the future you would like. Before doing anything else, think through what you would like to do when you return from your gap year and then try to plan out travels and activities which would be valuable to this future. If you have hopes of attending a particular college or university, check with it to find out more about what it likes to see from individuals who go on gap years. Only when you have all of this information can you plan a gap year worthwhile enough to postpone education. If you answered “yes” to between five and eight questions then you might want to postpone education for a gap year. Your answers indicate that you have given some thought to a gap year which will have value and benefit your intended future, but you may not have yet considered the practical aspects of travelling for a year, including the cost. Higher education is a costly pursuit these days, and starting out in debt from travels will only add more pressure to your life later. If you have good reasons for going into debt and your parents, teachers and other adult counsellors agree with you then your planned gap year may be worth postponing your education. Make sure you understand why you want to take a gap year, how you will fund it, and how you will be able to continue on with your education when you return before making any firm plans. If you answered “yes” to nine or more questions then you most likely have solid reasons for wanting to postpone education for a gap year. You seem to have a firm plan for your year, a good understanding of how and why your planned activities will be an asset to your education, and knowledge of how you will re-integrate to your planned future when you return home. If you did answer “no” to any questions, revisit them and make sure you can answer “yes” before committing to a gap year. If your gap year can not justify changing an answer to “yes” as planned then consider changing some of your plans. Before officially taking a year away from education to travel you need to be confident that this is the best situation for you, so speak with parents, teachers and other trusted adults about what you envision from your future and make sure that someone agrees on the value of a gap year before you make any commitments one way or the other.